Today marks the official opening of the application period for the inaugural Kyle Dempster Solo Adventure Award. 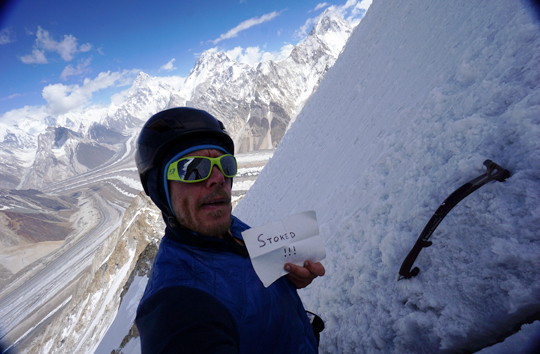 Dempster's family, friends and sponsors created the grant to honor his legacy after he disappeared on the north face of Ogre II (6980m) in Pakistan with Scott Adamson in August 2016. Though Kyle loved climbing, traveling and going on adventures with friends, many of his most memorable and creative trips were done alone, traversing wild corners of the world by himself and under his own power. From kiteskiing hundreds of miles across Baffin Island, to his now legendary biking and climbing trip across Kygryzstan that was made famous in the short film "The Road from Karakol," Kyle found a deep sense of meaning and joy in exploring the world on his own. Applications for the 2018 Kyle Dempster Solo Adventure Award are due by March 15 for trips taking place between April 1, 2018-March 31, 2019. The winner(s) will be announced on March 27, Kyle's birthday. Visit the website here to find more information and download the application. Additionally, the grant recipient(s) will be eligible to receive a one-year subscription to Alpinist magazine and have their trip report(s) appear on Alpinist.com.